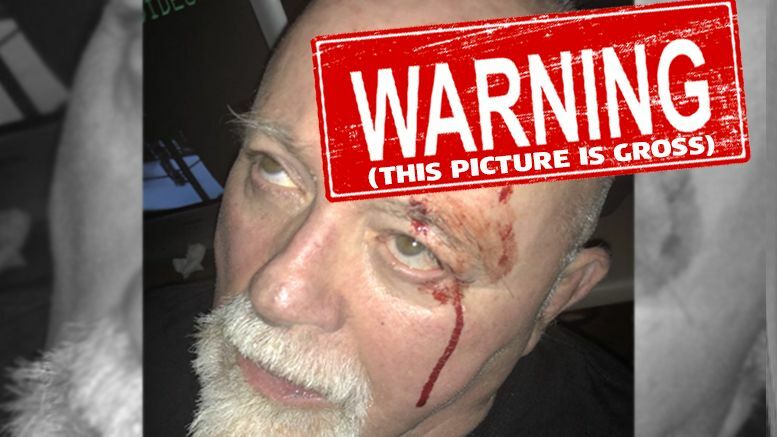 68-year old wrestler Kevin Sullivan got wrecked during a recent match against Sami Callihan and his opponent shared a photo of the nasty looking aftermath. It all went down at a Rockstar Pro event in Ohio where the two wrestlers faced-off in a street fight. According to one fan in attendance, the injury (seen below) occurred after Callihan threw a chair at Sullivan’s head during the match. Check out the photo below and try your best not to cringe.